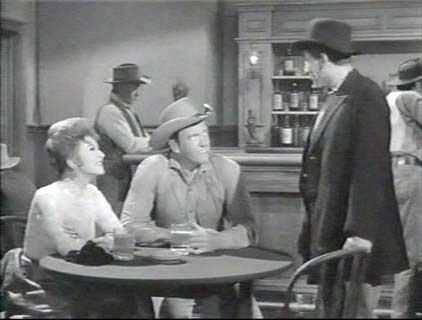 Here are a three pictures of the Long Branch from Gunsmoke followed by a couple of the Golden Nugget from the episode. There are some differences, but it looks like the same place to me. Thanks to Dedra Kaye DeHart for finding this and posting the Long Branch pictures. 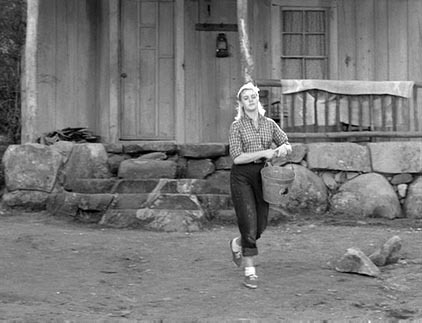 It appears that Sally and Gerald's shack in this episode was at the Upper Iverson Ranch in Chatsworth, California. 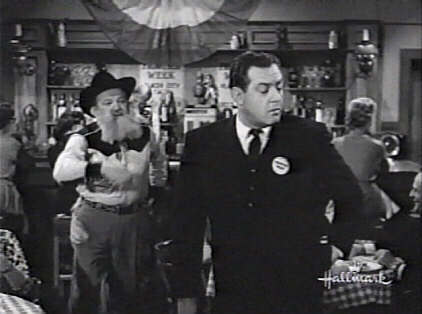 Thanks to Eric Cooper for spotting this and posting it to the Trivia section. Here's some photographic evidence. 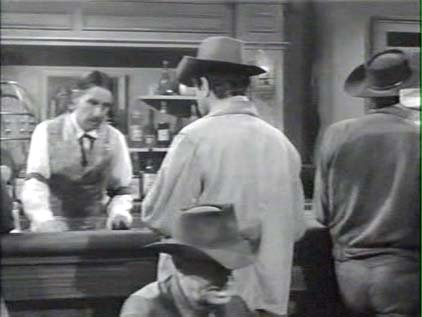 This picture was borrowed from the website for the book Reel Cowboys of the Santa Susanas by Jerry England (home page). 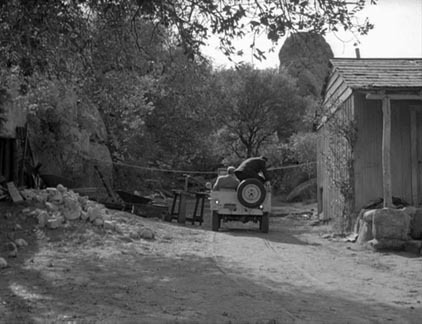 The book is "A photographic history of 'B' Western movie location ranches in Chatsworth, California" and contains more than 350 pictures from films made in the Santa Susana mountains. 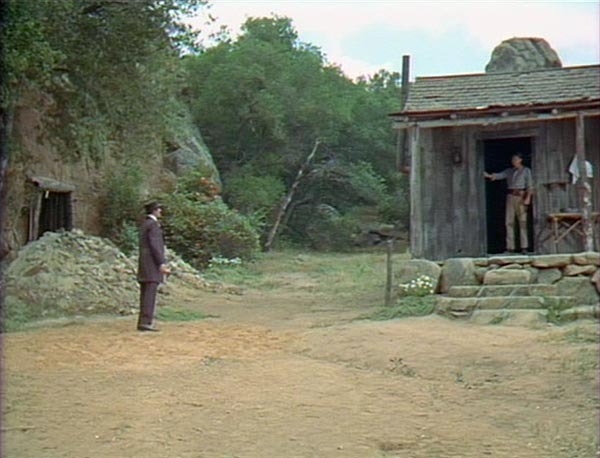 Take note of the stone steps and big rock visible above cabin roof. 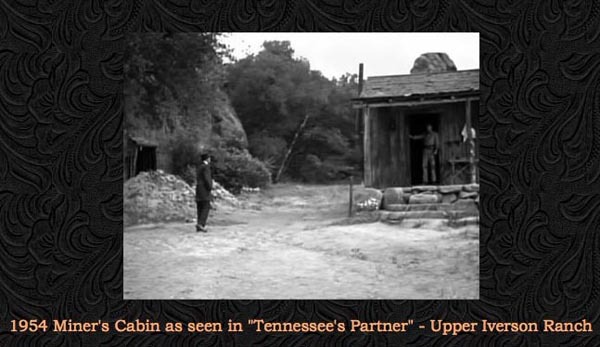 This picture was captured from the DVD of Tennessee's Partner. 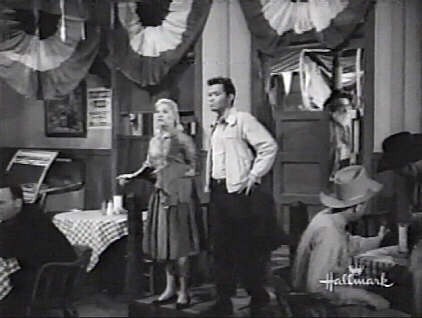 The movie starred John Payne, Ronald Reagan and Rhonda Fleming and was released in 1955. 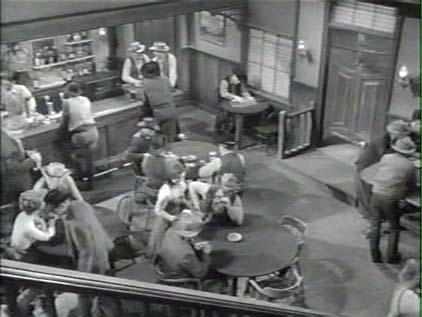 Note the jigsaw puzzle of the stones of the stairs. Looks like a pretty good match. The rock above the roof at the left is also a good match.